Or, get it for 22000 Kobo Super Points! Extras, bit players, and stand-ins have been a part of the film industry almost from its conception. 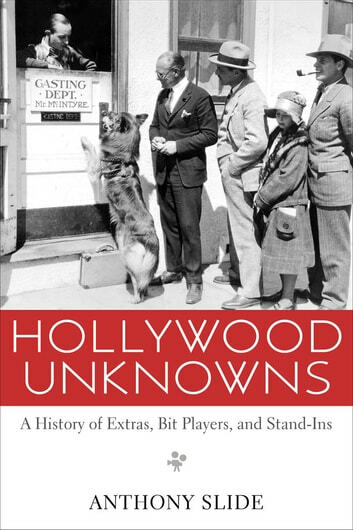 On a personal and a professional level, their stories are told in Hollywood Unknowns, the first history devoted to extras from the silent era through the present. 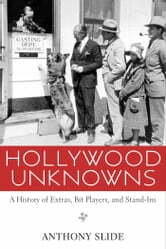 Hollywood Unknowns discusses the relationship of the extra to the star, the lowly position in which extras were held, the poor working conditions and wages, and the sexual exploitation of many of the hardworking women striving for a place in Hollywood society. Though mainly anonymous, many are identified by name and, for perhaps the first time, receive equal billing with the stars. And Hollywood Unknowns does not forget the bit players, stand-ins, and doubles, who work alongside the extras facing many of the same privations. Celebrity extras, silent stars who ended their days as extras, or members of various ethnic groups--all gain a deserved luster in acclaimed film writer Anthony Slide's prose. Chapters document the lives and work of extras from the 1890s to the present. Slide also treats such subjects as the Hollywood Studio Club, Central Casting, the extras in popular literature, and the efforts at unionization through the Screen Actors Guild from the 1930s onwards. Slide chronicles events such as John Barrymore's walking off set in the middle of the day so the extras could earn another day's wages, and Cecil B. DeMille's masterful organizing of casts of thousands in films such as Cleopatra. Through personal interviews, oral histories, and the use of newly available archival material, Slide reveals in Hollywood Unknowns the story of the men, women, and even animals that completed the scenes on the silver screen. How to Get the Part...Without Falling Apart! Harry Carey, Jr. 99 Success Facts - Everything you need to know about Harry Carey, Jr.